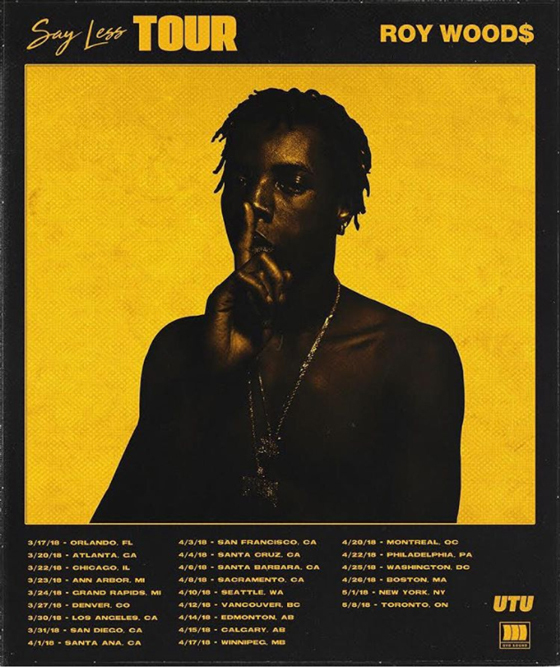 After delivering his debut full-length Say Less late last year, Roy Woods has now made plans to take the record out on the road. The OVO artist's "Say Less Tour" will find him performing a total of 23 dates across North America throughout March, April and May. The run also includes a number of Canadian performances, with Woods making stops in Vancouver, Edmonton, Calgary, Winnipeg, Montreal and Toronto. Tickets go on sale to the general public on Friday (February 2) at 10 a.m. local time. You can find a complete itinerary below.